Allchips（硬之城） GRID-EYE8853EK-1 is available at Allchips.100% original and new guarantee. If comprehensive data for GRID-EYE8853EK-1 to optimize the supply chain, including costdown, time-saving, cross references, parametric, counterfeit risk, alternative components, obsolescence management forecasts is expected, please contact our professional team. The Panasonic Grid-EYE Module combines Grid-EYE Infrared Array Sensor. 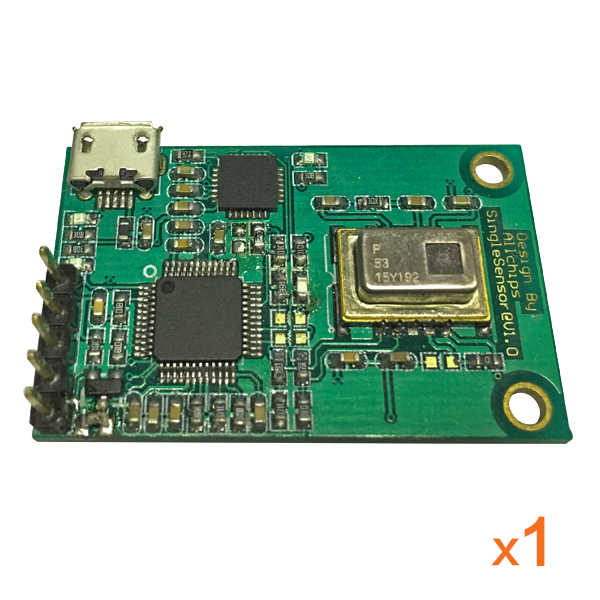 This sensor offers digital output (I2C) for thermal presence, direction, and temperature values. The built-in lens includes a 60 degree viewing angle. Grid-EYE features compact SMD design using MEMS thermopile technology. Based on thermopile technology, Grid-EYE can detect the direction of moving people and objects – up, down, left, right and diagonally. Its coordinated array of sensing elements can even detect multiple people or objects moving in different directions. At close proximity, the Grid-EYE sensor is even capable of detecting hand movements for simple gesture control.